Rated 5 out of 5 by campingramps from 2 great games in 1 week,wow! This is another great game that has come to Big Fish and I'm beginning to up my opinion of them. Although this is what I call a dark game, meaning grays, blacks and generally dark colors, it works for this one. This is not a bright color game. The story is believable and a pleasure to see where it leads. The HO's range from a blend of difficult with hard to see objects, to fairly easy but either way they are challenging. Usually I turn the music off or at least down but I kept it up in this game just because it intrigued me and added to the atmosphere but that's my preference. 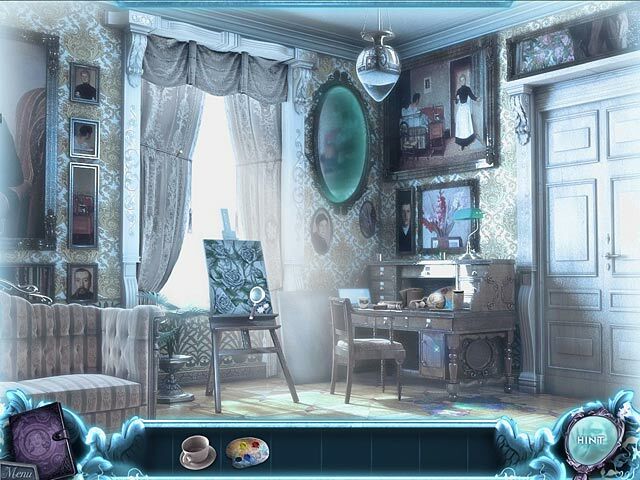 This game developer usually comes up with some good games and they have done it again. This is a buy but I may try the SE first just to see if it is any different. I recommend this one to all HO lovers out there. Have fun! Rated 5 out of 5 by ridinghood12 from Great graphics and gameplay I enjoyed this game very much. I think it open a door of new entertainment by allowing you to change from ghost mode t to human sight as a detective by using your gifts.. This was nice change to finding clues which distracted from the predictable story line. I enjoyed pretty much everything about it and it was right at my skill level of intermediate however i plan to play it again at a more challenging level to enjoy it even more. Nice game overall. Not too spooky to play late at night lol. 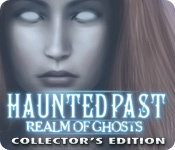 Rated 5 out of 5 by smoovasbutter from Excellent Haunted House Game You explore a creepy house and go between the real world and the ghost world, which is a pretty cool concept. The soundtrack is great and the house looks very creepy and gothic. The game is a bit on the short side and the extras are somewhat sparse on the CE. Graphics are decent for a 4 year old game. 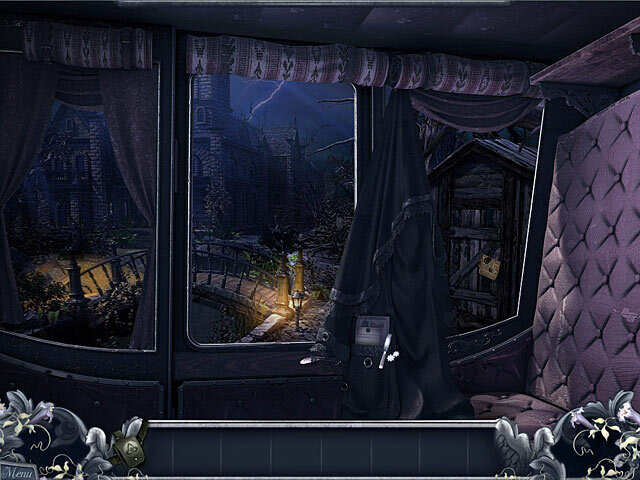 Overall a good gothic horror themed hidden object game. Rated 5 out of 5 by IPickYellow from Well This Has Been Entertaining! I do have a tendency to only post, when I'm really disappointed with a game. So, I decided awhile ago to post for good games as well. Unfortunately, there are fewer of those, or I have a different sense of enjoyment than others. I'm not sure how long this game has been out. I usually buy on sales and then only pick games that have a ton of great reviews. This game hit all the checks on my list for a great game. #1 - LONG #2 - NICE graphics with clear and not overly bright or super saturated with color. #3 - INTERESTING HOGs #4 - DIFFICULT without being impossible #5 - GREAT and UNUSUAL puzzles - Now here it didn't really hit the mark, as there were few actual puzzles. But the whole story line and game was one nice puzzle, so I'm letting this slide. #6 - GOOD storyline that made sense and had a beginning and conclusion. I bought the CE, but have only finished the main game so far, and I feel it alone can stand up to many CEs I've played recently. I'm so happy, I still have the bonus game to play! Rated 5 out of 5 by wintersnow888 from Unique Ghostly Fun!!!!! I don't usually write reviews but this was so great in every way that I felt compelled to write... First of all--This game has the perfact balance of HOS's and puzzles and gameplay....the HOS's were not too crowded and junky ,and the graphics were nice and clear. Second-the storyline was very creative ---I love ghost stories so this aspect really piqued my interest . . .and I love the way you can jump back and forth between the real world and ghost world----and the way that you interact with the objects you need to bring over from the ghost world was very original.. and great fun !!!!! The music/soundtrack was brilliant ...non-obtrusive and fitting for whatever scene you find yourslf in...and it doesn't get on your nerves ---like many soundtracks in games that feel as if the devs just did the music as an afterthought---- The difficulty level was just right -- not tear-your-hair-out frustrating and not childishly simple either...perfect for a snowy afternoon of relaxing fun....... The strategy guide is good --you can take as much or as little information as you wish...the CE doesn't contain any collectibles or extras in the game unfotunately...but that is the only negative I found in this otherwise terrrific game !!! Rated 5 out of 5 by 5Jodi from Different and fun game! At first I found the game a little confusing, but once I got into it, the game was fun to play! The storyline was interesting and I loved the fact that it was different from your usual games. Also enjoyed the necessary items and precautions one must take when a haunting takes place. Enjoy! Rated 5 out of 5 by Jem_Jerrica_Guy from This is the reason why single people get lonely in such big houses! Intro movie tells what you're getting into. 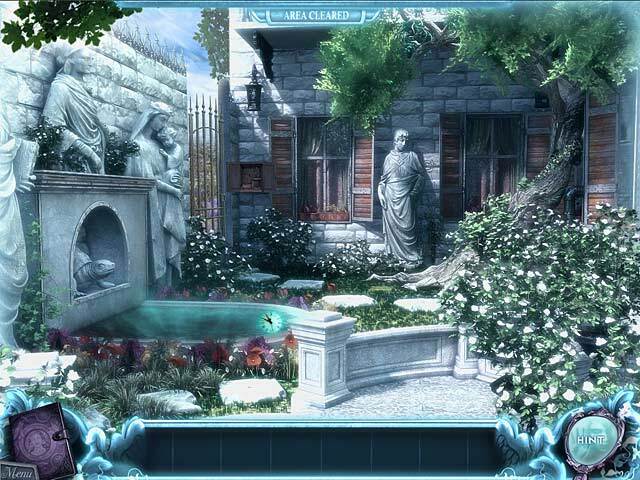 Each scene in an area of a mansion. Explore areas outside the mansion. If it's all decrepit, spookiness lurks around every corner. The ghost realms are sunshiney bright, but with that slow spooky new age music. One of the best gaming experiences I've had. I hope the sequel is produced. Rated 5 out of 5 by methosfl from LOVED IT!!! Bought the CE because the game sounded really good and I wanted "the full experience". It was a blast!!! The scenery and graphics were great. I love old houses and with this you would start out seeing it in disrepair then move into the "ghost world" and see it in its glory days. It reached the point where my stomach would clench in anticipation of the switch over because they really did do a beautiful job on the scenes. The HO games were good; not too easy but not where I had to use the hint button all the time. The other mini games were pretty good, some too easy but others really made me think. I loved the fact that they told you when a room was finished, saving me from to-ing and fro-ing, searching rooms for no reason. They did tell you what the next task was, but what they didn't tell you was that there were a dozen steps to get there. Those you had to figure out yourself. No penalty for over clicking and the hint button recharged fast. The hints themselves would show you where to look, but then you had to do the rest. The story line was good, interesting. It didn't introduce so many characters or give you so much detail that you couldn't keep it all straight. A couple of characters that told you what you needed to know without blathering endlessly at you. I played in advanced mode and took my time and it took about 6 hours. The bonus chapter was nice and long too, introducing what I hope is the next chapter in this game. Rated 5 out of 5 by tookat from journey through the eyes of the present, through the past This was a very unique game. One I took my time with and savored. Good graphics and seeing each scene change from ruin to glory was wonderful, though I did not always enjoy the glare used in some of the hogs, and I disliked the blurring shift from past to present and back. Still most of the game was worth putting up with that. The story itself leads you through each game step deftly, pulling you along to find each new room, each new answer. No brother or lost person in jeopardy, but an air of mystery about what happened here, and can we set anything to right ever? I saw a review that thought this game was too short for a CE. I humbly disagree....no good game is ever long enough though...just as no good book is. I look forward very much to the sequel and hope that wait won't be long.